Biodiesel from Used Cooking Oil - Future Potential Gold. Making your own fuel from vegetable oil or rather waste vegetable oil i.e. the oil which has been used for cooking and other purposes can be easy, cost effective, and environmentally beneficial. What makes this fuel even more attractive is that you can make it from the waste vegetable oil produced. In a country like the United States every year, which amounts to more than three billion gallons. With a bit of know-how and persistence, you can run any diesel engine on vegetable oil. Only diesel engines can run on vegetable oil-based fuels. This means that any engine that has spark plugs and is made for leaded or unleaded gasoline cannot use vegetable oil fuel. 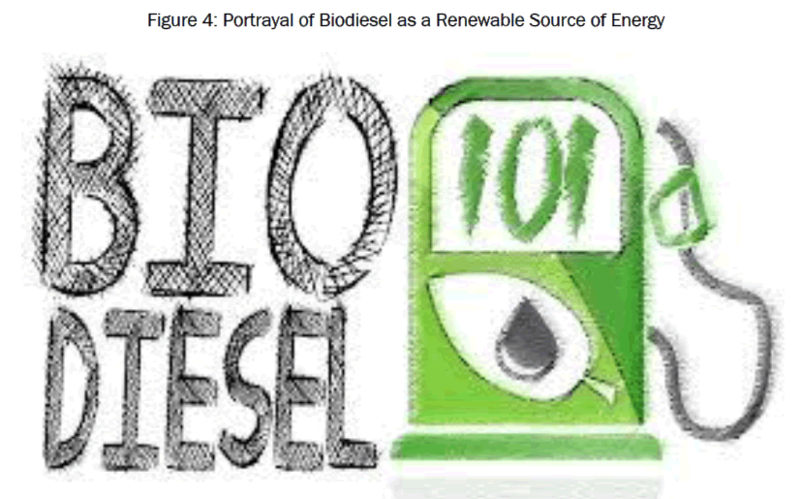 In this research paper, the focus has been made on how to make biodiesel which can be used by diesel engines from used cooking oil found in the kitchens. waste vegetable oil, diesel engines, fuel, cost effective, environmentally beneficial, vegetable oil based fuels. Today one of the most efficient methods of running a diesel engine on vegetable oil fuel is to produce a fuel called biodiesel. Biodiesel is made by combining around 10-15 percent alcohol with generally 0.30-0.50 percent lye ( The percentage of Lye depends upon the small batch test of waste oil) and 80 to 90 percent vegetable oil. A very orderly reaction can be made with 80-85 percent of used vegetable oil, 20 parts methanol, and 0.35 parts lye. These ingredients are mixed together for some time(take half an hour) and left to settle for eight hours. After the chemical reaction is complete and the new products settle out, we have biodiesel fuel and glycerine soap. The fuel is golden yellow to amber in colour and flows like water. The soap is brown in colour and has the consistency of gelatine. The soap settles to the bottom, allowing you to pump, siphon, or pour off the biodiesel. The second method for using vegetable oil in a diesel engine is to simply “cut” the oil with kerosene. This method is best suited for emergencies, heavy duty engines, and warm temperatures. Although it is possible to mix other petroleum products with vegetable oil, kerosene is most suited for the diesel engine. Depending on ambient temperature, the blend of kerosene to vegetable oil will be anywhere from 10 percent kerosene and 90 percent vegetable oil to 40percent kerosene and 60 percent vegetable oil. A fairly reliable blend is 20 percent kerosene to 80 percent vegetable oil. The effectiveness and reliability of the veggie/kero method is increased by starting and cooling down the diesel engine on diesel fuel or biodiesel fuel. This can be accomplished by installing an extra fuel tank and switching to the veggie/kero mix when the engine is warmed up. This is in fact a tedious process. The third method for running a diesel engine on vegetable oil is to use straight vegetable oil. As with the other methods, you can use either pure vegetable oil or used cooking oil. To ensure the efficiency and longevity of your diesel engine, the engine must be started and cooled down on diesel or biodiesel fuel. The use of an extra fuel tank is also required. Also a valve to switch between the tank of diesel or biodiesel fuel and the tank of vegetable oil is required. The key to running a diesel on straight vegetable oil is to heat the vegetable oil at every stage—in the fuel tank, fuel hose, and fuel filter. The vegetable oil must be heated to at least 70°C (160°F). Most diesel engines have hoses that carry hot coolant. This coolant can be directed to heat the vegetable oil hoses, tank, and filter. You can make simple modifications to the coolant hoses. These modifications combined with some extra fuel and oil hoses, an extrafuel tank, and an electrically operated switch will allow you to run your diesel engine on straight vegetable oil. Table 1: Comparison Table Between The Vegetable Fuels. Now firstly, we need to have the knowhow about the working of a simple diesel engine. Then only we can understand the concept of biodiesel in a better way. 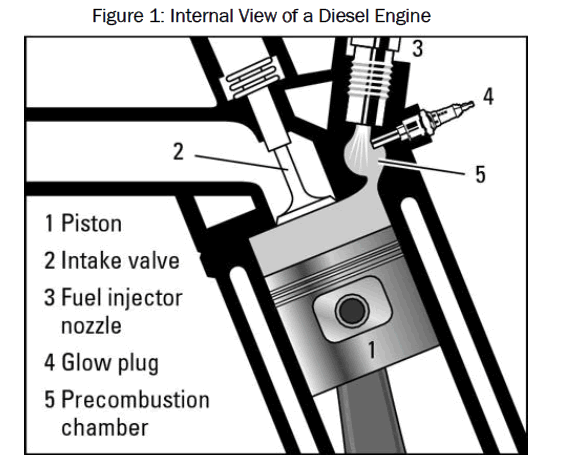 Figure 1: Internal View of a Diesel Engine. The diesel engine works on the principle of compression ignition. Inside the diesel engine, the fuel is injected into a chamber of pressurized air. This pressurized air ignites the fuel. The diesel engine is different from the electric spark engine which uses electric sparks to ignite gasoline. The diesel engine contains no spark plugs, no distributor, no ignition coils, no carburettor. Instead the diesel engine contains small electric heaters that help in igniting the fuel. Generally diesel engines are more reliable than those engines that run on gasoline because of lack of electrical ignition components. Due to the thick nature of diesel fuel, some diesel engines emit partially burnt fuel in form of soot. Biodiesel can easily solve this problem. Let us now go to the main focus of this paper ,i.e., how to make biodiesel from used cooking oil. This is actually a great project to start on if you are a college student where used cooking oil is in abundance. Students living in the campus eat their food in the mess or canteens where gallons of waste cooking oil are produced. So practically the cost for accessing the raw materials required for this process is actually very low as waste cooking oil can also be accessed from the nearby restaurants. • Purchase or collect used vegetable oil. • If the oil is used cooking oil, use a restaurant fryer filter to remove burned food bits, etc. can also be used, but the process is different. • Purchase some granulated lye (Red Devil is one brand) or caustic soda sold as a drain cleaner from the hardware or grocery store. It must be pure sodium hydroxide (NaOH). • Measure the amount of vegetable oil you want to use in liters. We will call this number V. Pour the vegetable oil into the mixing container. • When the temperature is below 70°F (21°C), or when the vegetable oil is solid or lumpy, it will be necessary to heat the reactants before, during, and possibly after the mixing. The ideal temperature toattain is 120°F (49°C). A fish tank heater will heat 10 to 30 gallons (40–120 l) of reactants. For largerbatches of biodiesel, a water heater element can be mounted in a steel biodiesel mixing tank. Makesure that you follow the manufacturer’s directions and safety precautions when adding any electricaldevice to the system. Be careful when heating vegetable oil in a plastic container. Polyethylenecannot withstand temperatures above 140°F (60°C). • Multiply V x 0.2. The result will be the amount of methanol you will need in litres. We will call thisnumber M.
• To determine how much lye you will need to use for new vegetable oil, multiply V times 3.5 grams. For used vegetable oil, use the number of grams of lye you got in the small test batch. For example, if you used 0.55 grams of lye in the test batch, you will multiply V times 5.5 grams of lye. Call this number L.
• Carefully pour L grams of lye into M liters of methanol. Stir until the lye is dissolved in themethanol. Be careful, this creates a toxic substance called sodium methoxide. • Pour the sodium methoxide into the vegetable oil right away. Stir vigorously for one hour. • Let the mixture settle for eight hours. • Pump the biodiesel from the top, or siphon it off with a hand siphon. Or if you are lucky enough tohave a container with a spigot, open the spigot and drain the bottom layer of glycerin. 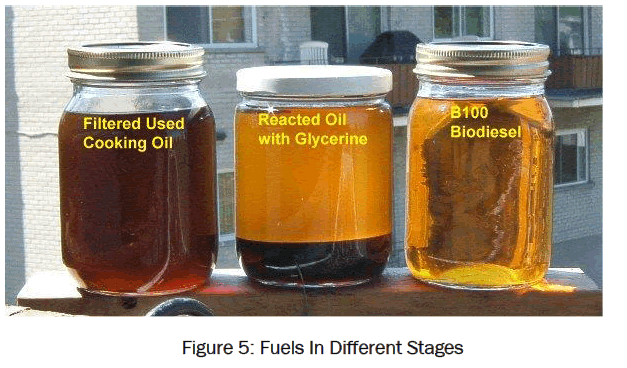 The glycerin willbe much thicker and darker than the top layer of biodiesel. • Allow the glycerin to sit in the sun for a week. After that, the trace methanol will be evaporated. You have made a nice glycerin soap. You can scent it with the fragrance of your choice, add other soap agents as desired, or just use it as it is. This soap is especially good for cleaning grease off your hands and cleaning greasy equipment! • Make sure your biodiesel goes through a 5 micron filter before entering your diesel engine. 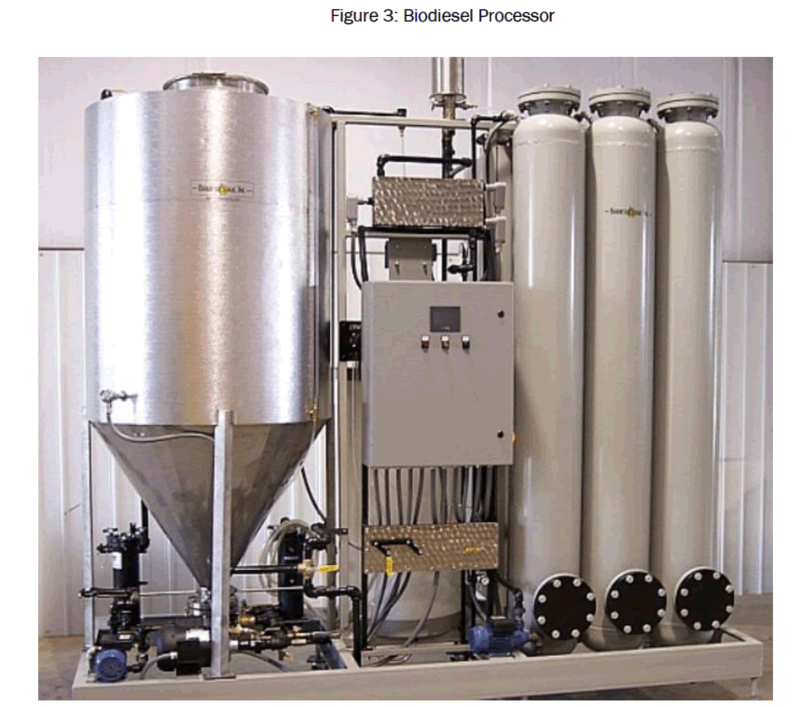 Figure 2: Flow Chart of Making of Biodiesel. • A 55 gallon (208 l) metal drum. • A 1/2 hp electric motor. • Two pulleys that give about 250 to 400 rpm at themixer blade. • A belt that goes around both pulleys. • A rolled 2 inch (5 cm) rod for the mixer shaft. • A propeller made from two shelf brackets, welded to either side of the rolled 2 inch rod. The shelf brackets look like two opposed “L”s and form a propeller about 14 inches (36 cm) in diameter. Basically any propeller-shaped metal would do, if it is made from about 12 or 14 gauge steel. • A 3/4 inch (19 mm) brass ball valve for draining the glycerin. • A hinge and piece of wood acting as a belt tensioner. • A 2,000 watt electric water heater element. • A water heater thermostat. • Wood, screws, bolts, and other assorted mounting hardware. You are dealing with dangerous chemicals when you make biodiesel. Both methanol and lye are strong bases. They can deaden nerve endings and cause permanent damage. For this reason, chemical resistant gloves, aprons, and eye wear should be worn when dealing with methanol and lye. Shoes, long sleeve shirts, and long pants are a must. Keep both methanol and lye in clearly marked containers. We recommend putting a skull and crossbones on them and writing something to the tune of “Danger! Toxic!" in addition to the contents. Sodium methoxide, the chemical combination of lye and methanol, is even more toxic than the separate components. Keep this stuff away from any exposed skin. Do not let children play in or around biodiesel equipment. Remember, although you are creating two chemically benign substances when you make biodiesel, you are using dangerous chemicals in the process. Always keep safety in mind when preparing a biodiesel reaction. Have a faucet or hose nearby. Keep some vinegar handy to neutralize any methanol or lye that may spill. If you take the time to prepare and follow safety guidelines, your biodiesel reaction will go smoothly and you should have no problems. Biodiesel will definitely be a very important factor in the next 5 years. The reason is that the fossil fuels are depleting very quickly and also the use of fossil fuels causes carcinogenic and harmful gases to release in the atmosphere and all of these gases are not biodegradable. Whereas, on the other hand biodiesel is completely biodegradable. No harmful and fatal gases are released after its combustion. It is a known fact that everyday gallons of waste cooking oil is thrown. These harmful wastes add to the pollution over land and water. On the other hand, these harmful waste can used effectively to produce the harmless biodiesel. Because of the depleting fossil fuels, prices regarding petroleum are shooting up like anything. Because of such, the governments of the countries where there is shortage of petroleum has to spend more on the import of petroleum products thus, disrupting economic progress. Nowadays, fossil fuels corporations and companies are terming Compressed Natural Gas (CNG) as "future fuel". However , CNG is a non-renewable source of energy and confirmed reports say that its production will start dwindling as early as 2040. Now we are all familiar with the concept of GLOBAL WARMING. Earth is currently going through a period of global warming. Average worldwide temperatures are increasing rapidly. Factors which are contributing to the scene of global warming are many but figures show that burning of fossil fuels do give rise to rapid increment in the percentage of carbon dioxide in the atmosphere. But fortunately there is a solution- Renewable sources of energy. There is infinite amount of renewable sources of energy and vegetable oil is one of them. There is no need to think big from starting.If we contribute by making small changes then it will surely be noticeable in the long run. For e.g.- If your university has a transportation system, then we can make an effort to convince them to switch their fuels to biodiesel which will not only lessen the pollution in your area but also revolutionise the transportation system of your university. Disclaimers aside, biodiesel is used all over the world. Island people are making biodiesel from coconut oil, some countries are experimenting with biodiesel from hemp seed oil, and many others are using canola oil. Millions of miles of road tests have been done with this fuel. Tests have shown less wear on the internal components of engines using biodiesel. Biodiesel is a reliable, exciting fuel that you can make. If you are worried about your diesel engine, you can install an extra fuel filter system from similar aftermarket parts manufacturer. After traveling over 25,000 miles (40,000 km) on biodiesel made from used cooking oil, we continue to choose and recommend biodiesel over toxic, carcinogenic petroleum diesel fuel. Figure 5:Fuels In Different Stages.